We invite engineers, healthcare professionals, designers, developers, innovators and entrepreneurs to take part in building useable solutions to frontline healthcare problems. 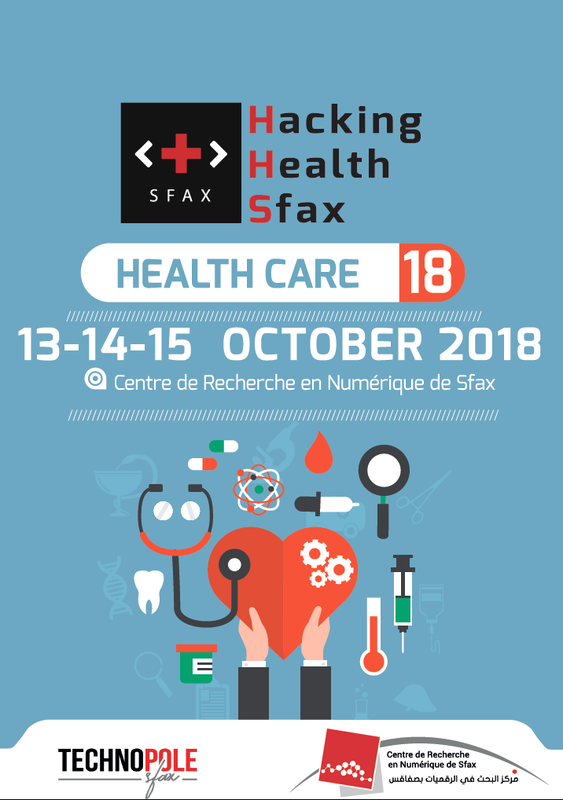 Join us October 13 to October 15 for Hacking Health Sfax’s Hackathon taking place at the Digital Research Center of Sfax, TUNISIA. Hacking Health Sfax is a fun, hands-on, intense, 3-day hackathon that breaks down barriers to healthcare innovation in Sfax. Our goal isn’t just to organize hackathon, it’s to have a long-term impact on our healthcare system. We can’t wait to see you contribute to a hackathon project that can be brought to market for the benefit of communities everywhere. The competition will begin with the opening ceremony on Saturday, October 13th. Teams will then spend the next days designing, building, testing, validating and tuning their prototypes in preparation for the demo competition, working with mentors to refine and improve their solutions. Once the hacking is complete, all teams will be evaluated by an expert panel of judges on Monday, October 15th. Winners from the final presentations will be announced with awards presented after.